A view of the Elks Country Club Golf Course in McDermott. 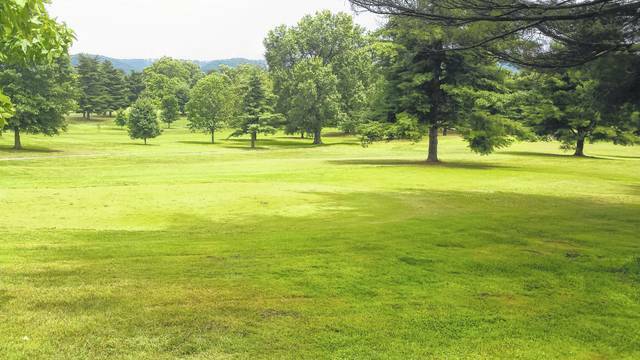 Officials at Elks CC oversaw the renovation of 14 acres of the storied golf course to bermuda grass, which totaled $37,000. Sometimes, even ole’ faithful needs a little bit of touching up now and again. The staff at Elks Country Club certainly did that earlier this spring and summer as Elks CC Course Manager Ed Carver, along with Superintendent Lowell Kenney, installed 14 acres — or $37,000 worth — of NorthBridge and Latitude 36 bermudagrass to revamp the widely-renown golf course. In Ed Carver’s and Lowell Kinney’s eyes, a brand new surface was much-needed, especially considering how well bermudagrass holds up in the later months. As with most golf courses that sit in the northern part of the United States that do not have bermuda, Elks Country Club has had an issue with grass that ends up dying out in the colder months, making the course harder for golfers to read. In the short time of visiting the McDermott-based golf course, the improvements on simply the color of the grass are quite evident. That’s especially true on the 18th hole, where Carver and Kinney both say that the bermudagrass has already developed quite nicely. And, according to Kinney, the overall play will improve with the new surfaces, as well. With Hidden Cove Golf Course in Carter County, Ky. already reaping the benefits of bermuda grass, Carver is really looking forward to seeing the kind of play that’ll be in store in the months and years to come.